A space programme and nuclear weapons; the third-largest number of billionaires in the world, and people who own half of Chelsea on the one hand. Struggle for one square meal, outdated superstitions and a daily wage of $0.10 from sweatshops on the other. India is a land of paradoxes and extreme diversity in everything, be it wealth, education, hygiene, standard of living, language, customs or anything else. Coming from the greener side of the grass, it is often difficult to explain these extreme variations and lack of similarity in cultures within the same country to former classmates and colleagues from around the world, many of whom tend to stereotype and categorise. I have been asked if I worship cows, if I live in a room with 100 people and if I work in a call centre (never did any of these; don't have any relatives who do so either). Even someone from the neighbouring state may not speak the same language. I myself do not speak the national language (I learnt two regional languages instead). No surprise then that India is also the world's fourth-largest beauty market in the world - with spending on cosmetics expected to triple by 2020 - and a multi-billion-dollar industry. Some of the country's brands have a reach worldwide as well, so the total industry value is estimated at $274 billion globally, and only $4.6 billion domestically. Marked difference, innit? Growth rate is estimated to be a whopping 20%. Far more than the national economy's growth rate, which is a mere 8%. Not exaggerating here. Six Sephora outlets have opened in the last three years, though they are farther away from me than Dubai. The postman tells me his daughter owns enough nail polish to fill a room. 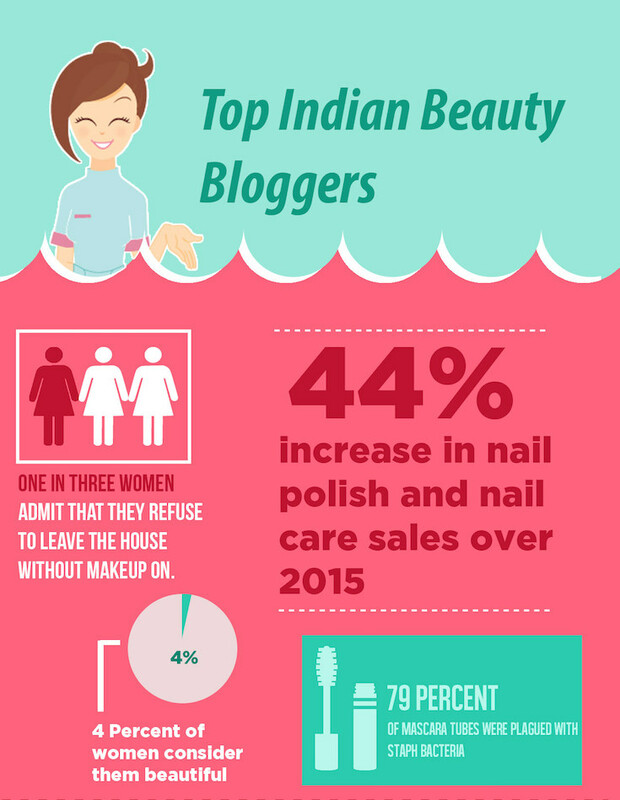 Recently, a team of journalists compiled a list of top 50 beauty blogs in India, in no particular order, and informed me that yours truly is on the list. The list was based on quality of the content and design. In no order, so yay. Incidentally, Cosmetopia Digest am also among the top five blogs yet again in the BlogAdda Win'15 Awards - the only blog to make it for the second year running. I would be very remiss if I did not thank all of you for coming here, reading my posts and for commenting or otherwise being engaged in some way. I have never paid for Facebook promotions or followers on any media or traffic, so only you keep me going. Big hug all around, and thank you!